You are just few clicks away from loading 50 quizzes. YES!! 50 new quizzes to your SocioQuiz Site. 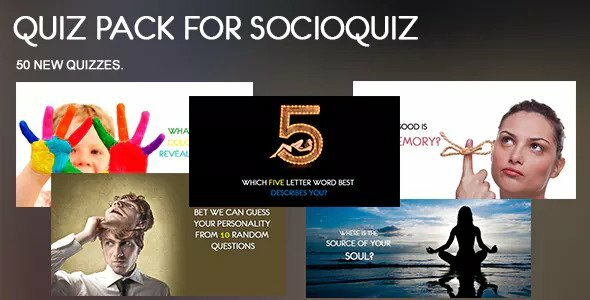 Note: This pack just include quizzes, SocioQuiz is sold separately by different author.